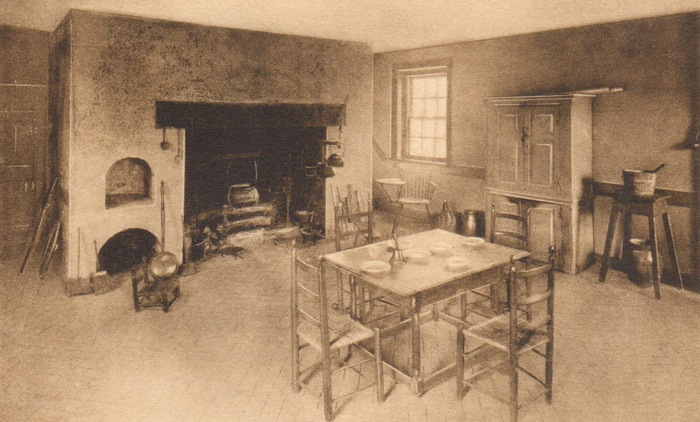 While the various restorations of Kenmore itself over the years are usually the star attraction for visitors to the site, there was another restoration, equally as important, that occurred on the property in its early years as a museum. 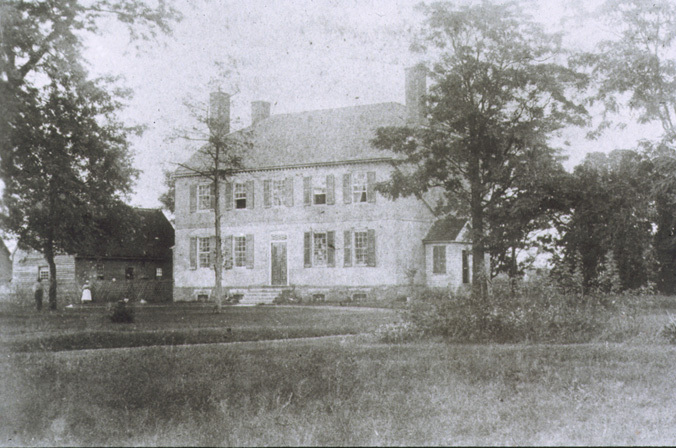 Kenmore’s gardens are well-known for their beauty now, but when the Kenmore Association acquired the property in the 1920s, the grounds were in a sad state. It would take generations of work and ingenuity from a variety of people and groups to return the gardens to their former glory. 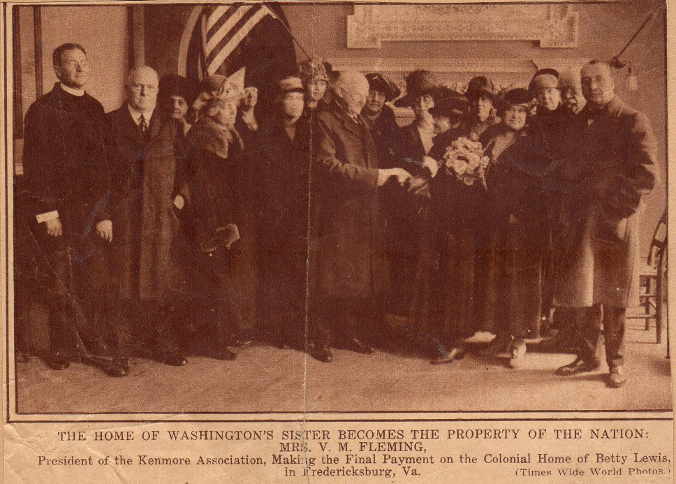 Perhaps the most important moment in the history of Kenmore’s gardens was when the Garden Club of Virginia decided to tackle them as their first-ever restoration project in 1929. 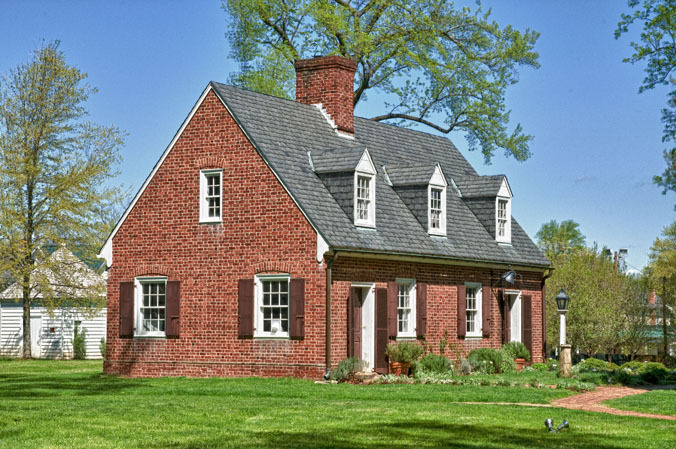 The Garden Club established Virginia Garden Week specifically to raise funds for the project. 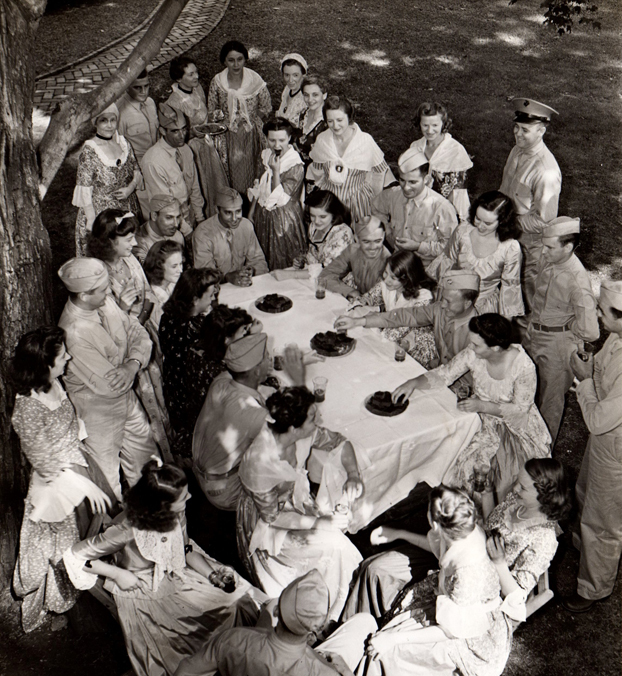 Their success in both completing the first restoration of Kenmore’s gardens, and in creating a significant annual event across the Commonwealth of Virginia lead to more than 50 historic garden restorations since, and the celebration of its 83rd Historic Garden Week next week. 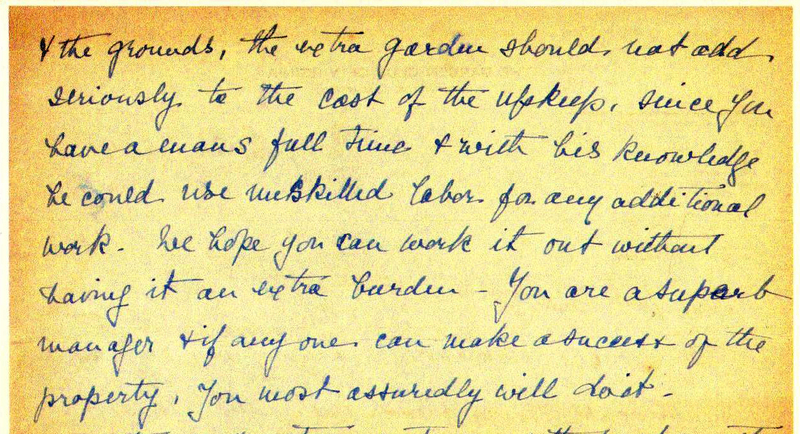 In 1940, the next phase of Kenmore’s garden restoration began when the Garden Club agreed to fund the implementation of designs by the renowned Southern landscape architect Charles Gillette. 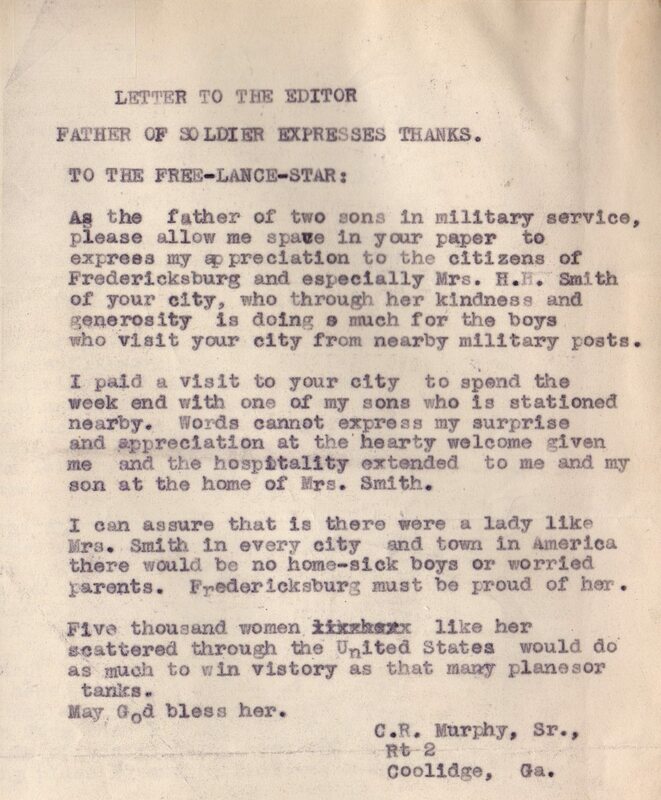 His plans included the “secret garden” area in the northeast corner of the grounds, the brick wall that currently surrounds the property, and Kenmore’s iconic brick gate on Winchester Street. 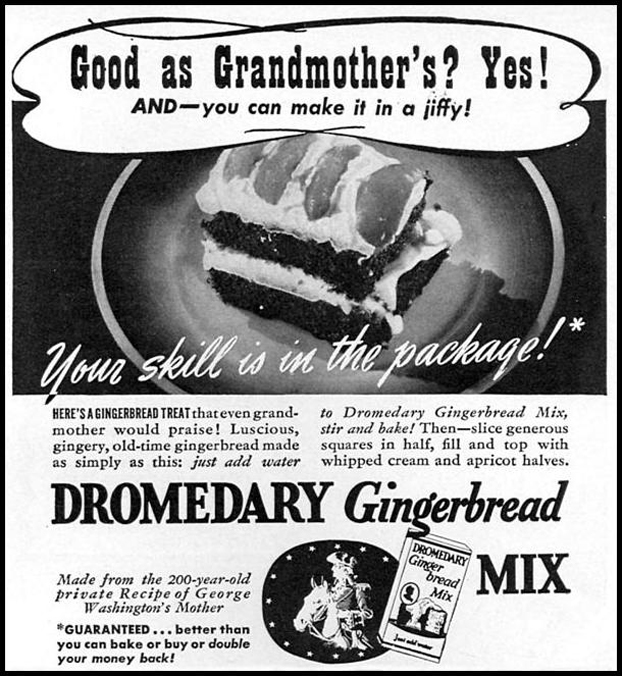 Gillette would continue his work at Kenmore into the 1950s. 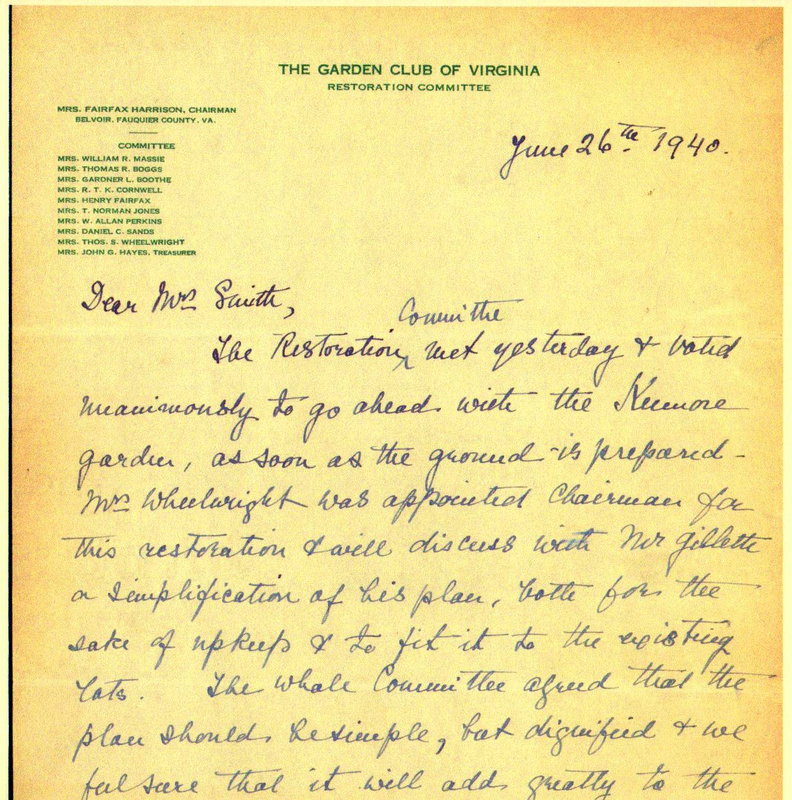 Page 1 of a letter from Hetty Harrison to Annie Fleming Smith dated June 26, 1940 informing the Kenmore Association that the Garden Club of Virginia had selected Kenmore as its restoration project and that renowned Southern landscape architect Charles Gillette would provide the design. 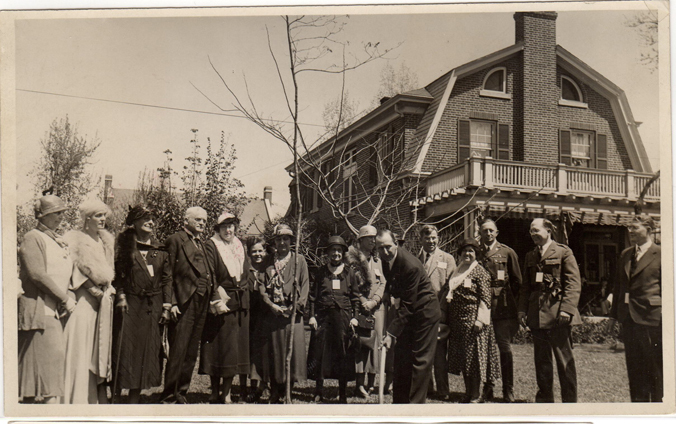 Ceremonial tree-planting on the Kenmore grounds, 1938. 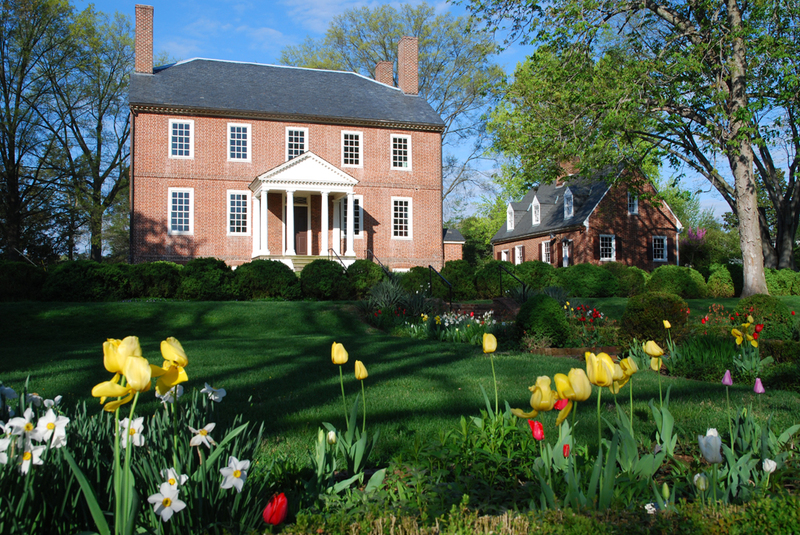 Most recently, the Garden Club of Virginia undertook another restoration of the gardens in 1992. 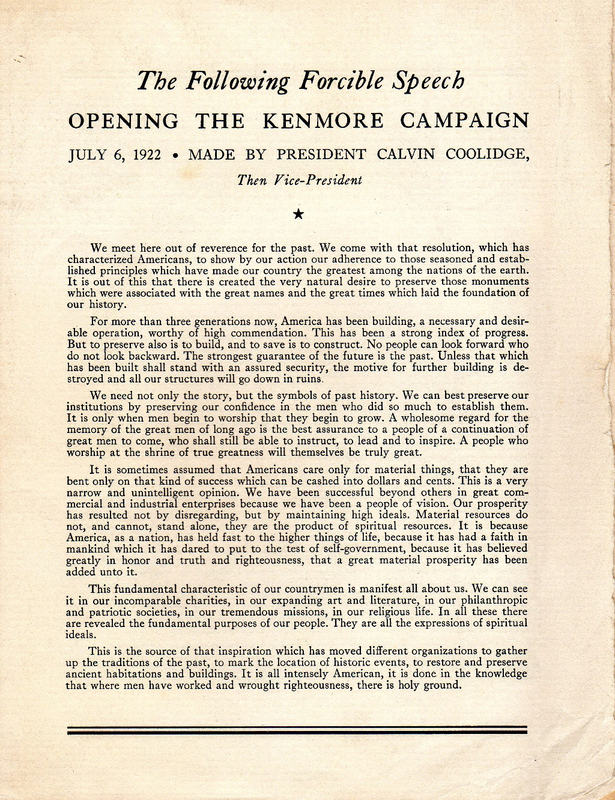 The Club remains a vital supporter of Kenmore’s landscape efforts to this day. During Historic Garden Week, enjoy Kenmore’s gardens and experience the house in a new way! On Tuesday, April 26, try a specialty tour highlighting one of three topics—the restoration of Kenmore at 11:00 a.m. and 2:00 p.m., American Revolution at Noon and 3:00 p.m., and ceramics at 1:00 p.m. and 4:00 p.m. For more information and to view the specialty tours monthly schedule, click here.